Let’s get digital – SHOWHOUSE JUNE 2015. NEW HOMES TECHNOLOGY – MARKETING & CUSTOMER CARE. | clixifix, Customer Care, simplified Blog. 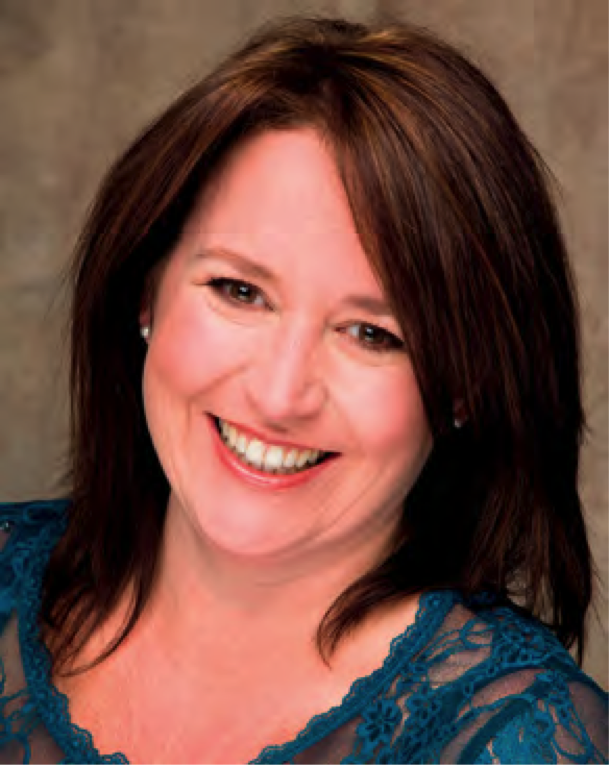 Let’s get digital – SHOWHOUSE JUNE 2015. NEW HOMES TECHNOLOGY – MARKETING & CUSTOMER CARE. Technology is now available to help housebuilders before, during and after the sales process, and while early adopters are reaping the benefits, some are not yet switched on. 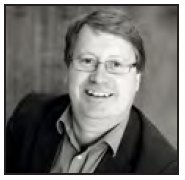 RUPERT BATES explores the latest marketing and customer care tools available to the industry. 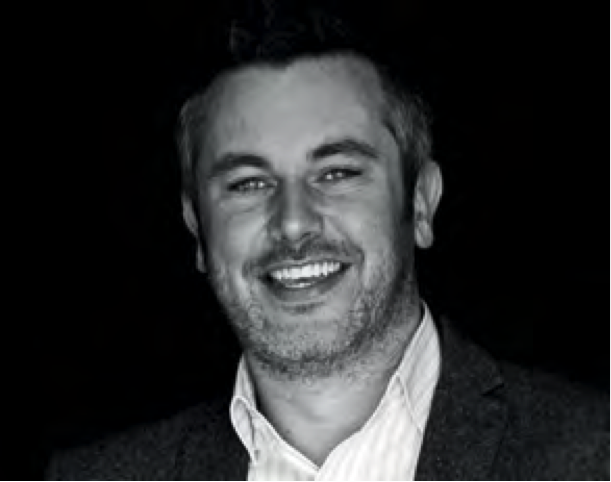 James Farrell, co-founder and managing director of clixifix, is where the focus should lie. clixifix®is a customer care management application developed by people with many years of experience in new homes sales and marketing and customer care departments. It is a cloud-based application – there’s no software to install or download – designed to issue unique ticket numbers for every defect or repair reported. “Every defect is either an emergency, or a high, medium or low priority repair. Depending on the company, which can set its own internal KPIs [key performance indicators], the response times could range from four hours to 28 or 60 days,” says Farrell. “Once you create the ticket, there is a chronological countdown until the ticket is closed or resolved. Every one of the team has a unique user name and password to log-in and they can see the dashboard, which shows them how many tickets are open; it’s all in front of them and very transparent. The sub-contractors are nominated on the ticket so they know how long they have to respond, and the process goes from there,” says Farrell, with the ability to upload support documents from a mobile, or create appointments on the move. aftercare in numerous other sectors but not in our construction Industry. 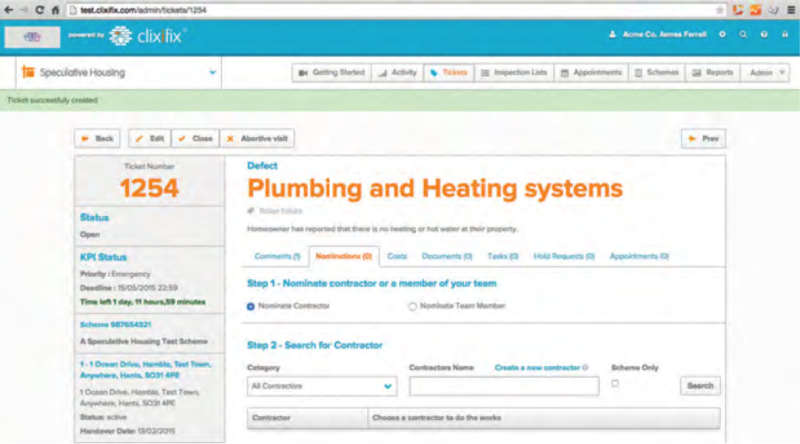 “Enabling owners and clients to log in to their personalised dashboard for updates on reported defects and repairs, view support documents, product information and even help videos instantly can be invaluable. This omni-channel approach is consistent with their pre-sales experience and could cement your company’s reputation for excellent customer care,” says Farrell. ThinkBDW is a full-service property marketing agency, providing brochures, websites, signage, bespoke marketing suites, advertising design and media bookings, PR and the latest CGI and digital marketing tools such as touchscreen technology and iPad apps. 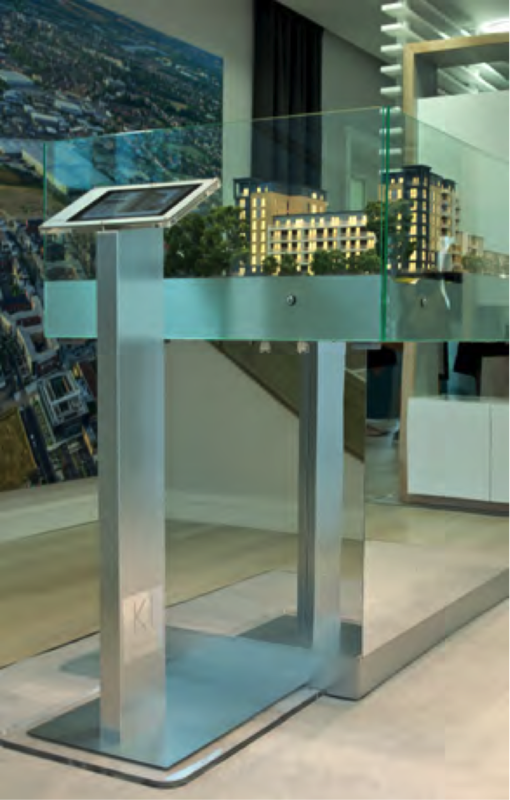 ThinkBDW creates interactive 3D site plans, allowing the user to navigate around a site and explore in detail, with the information accessed via touchscreen tables in a marketing suite, or anywhere via a mobile device. “By selecting a plot, a computer generated image of the property appears, along with details including its current build status, specification and price. The viewer can then view individual floorplans and take an animated tour around the house or apartment,” says Mead. A digital 3D kitchen selector gives purchasers an idea of what finishes they can select for their new home. 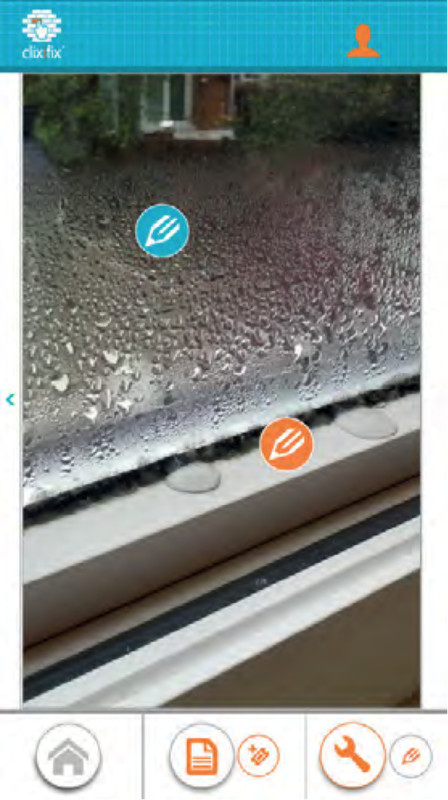 The options are shown as swatches, so the user can choose between different types of flooring or worktops. “When selecting a swatch, the 3D model is updated instantly with the chosen finish displayed in situ. This is a great tool for selling granite worktop upgrades or higher specification appliances. Information on preferred choices can be saved and emailed to the customer,” adds Mead. at exhibitions. 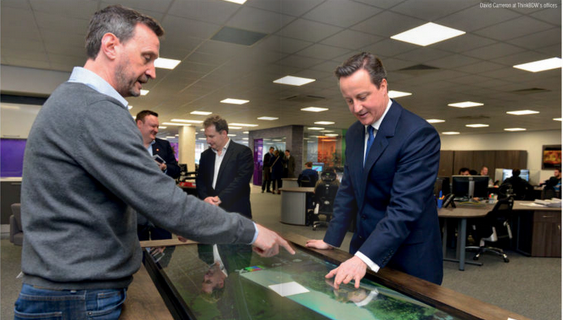 Prime minister David Cameron is a fan, having tried out the digital technology when opening ThinkBDW’s new head offices earlier this year. Mead says prospective purchasers do their homework prior to visiting a development and there they expect the marketing suite and the sales staff to be at least as connected as they are. reassurance that what they look at online is as good in reality. It gives the sales person more time to build a relationship,” says Mead. “A recent retail survey showed that some 63% of people, even with the technology available, would still want that reassurance that only a good negotiator can bring. So the two go hand in hand and can be very effective when used together. 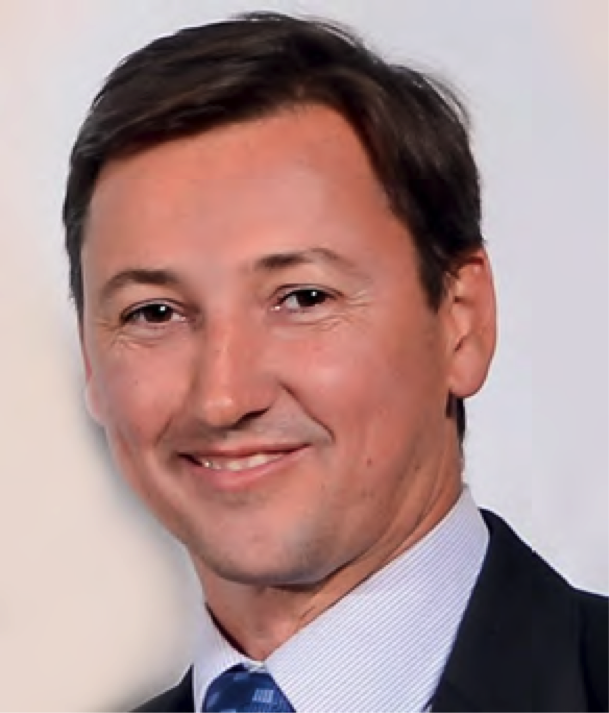 Axeo Systems produces what its managing director, Pedja Guzvica, describes as “an entire ecosystem of interactive sales and marketing tools specifically designed to help off-plan sales of new homes”. While acknowledging that housebuilders are slow adopters, with notable exceptions, Guzvica says the UK is more proactive in this space than the United States. 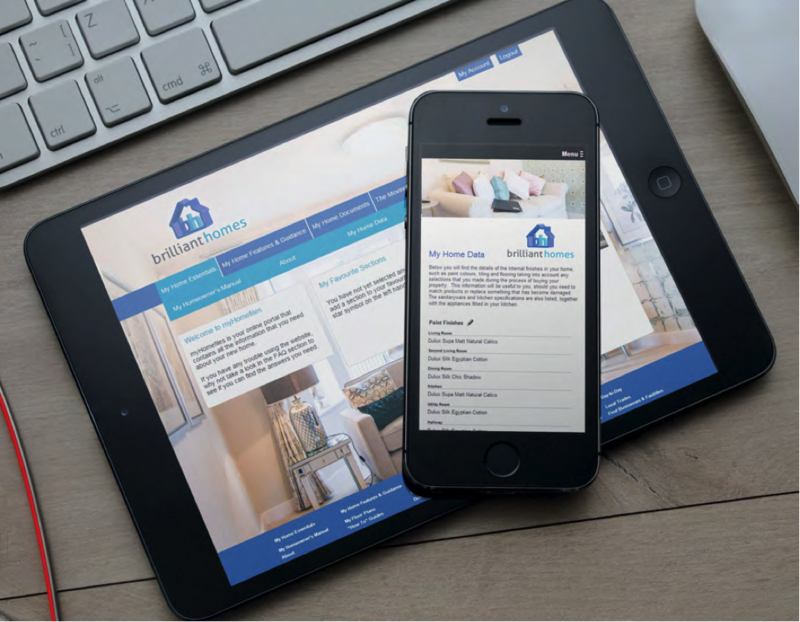 Classic Folios has developed its homeowner portal, myHomefiles, which has been taken up by seven of the top 10 housebuilders, as well as 200 other developers. “It empowers developers to improve delivery and reduce buyer stress levels. Consumers expect access to the information they want immediately and in context, often on their smartphone or tablet. 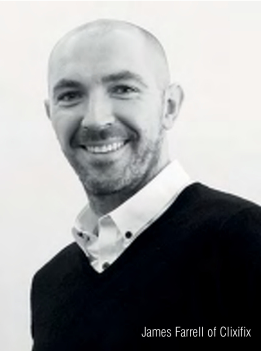 Our system is geared to create that brand experience,” says David Graydon, joint managing director of Classic Folios. myHomefiles can be engineered to help at the pre-sales stage too, by integrating and synching with a client’s existing CRM system and allowing potential purchasers to review the developments and properties they’re interested in. “There is a real opportunity for developers to gain market share by embracing the technology solutions that customers are already using in their everyday lives – a massive prequalified, lead-generating marketing opportunity, particularly for national builders,” says Graydon. Pelican Media provides interactive property marketing apps, CGIs, animations and development films, with its new software focusing on the customer journey. “The majority of our clients are London based and we find that their marketing teams are the earliest adopters of new technology. 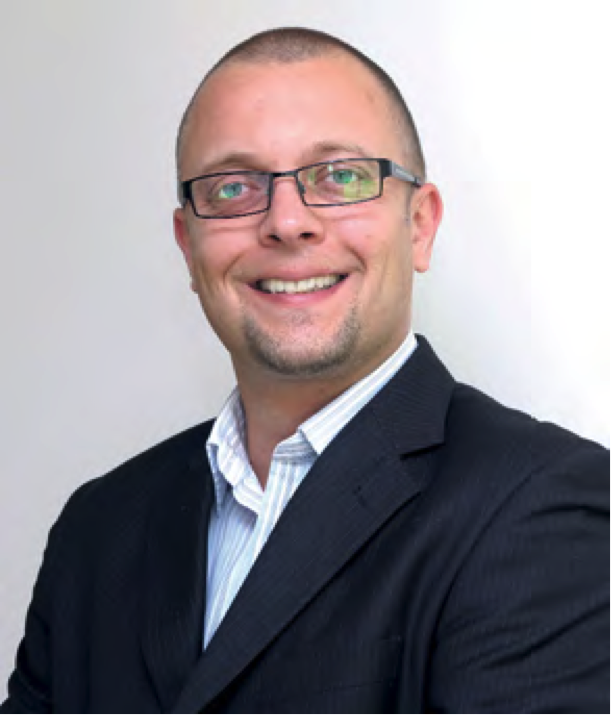 Over the last five years we have gone from trying to convince clients of the benefits of new technologies, to them actively seeking the latest advancements,” says Tony Nicol, managing director of Pelican Media. “Technology has changed the way we do business beyond recognition since the launch of smart devices, and using these devices as a platform to reach customers has become the norm for the industry. Being part of the digital age is now a necessity, not a luxury.” He believes that in the future buying a house will become more like buying a car, with unmanned, on-site marketing suites housing all the latest technology, where a customer can leave their information before being contacted by the housebuilder. 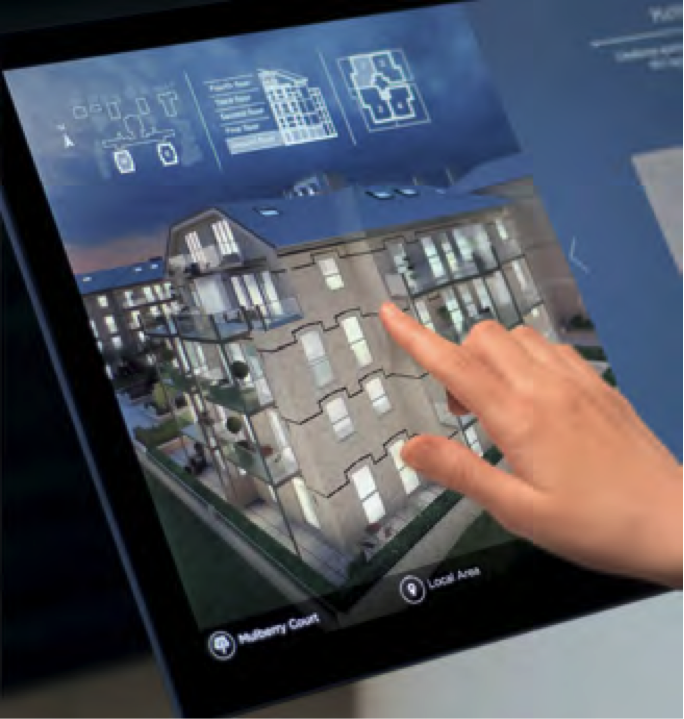 Veritii is an interactive 3D property sales tool, with its tablet-based platform used by the sales team either in their site office or remotely to cross-sell developments, allowing potential buyers to view all house types across all developments in 3D before they are built. 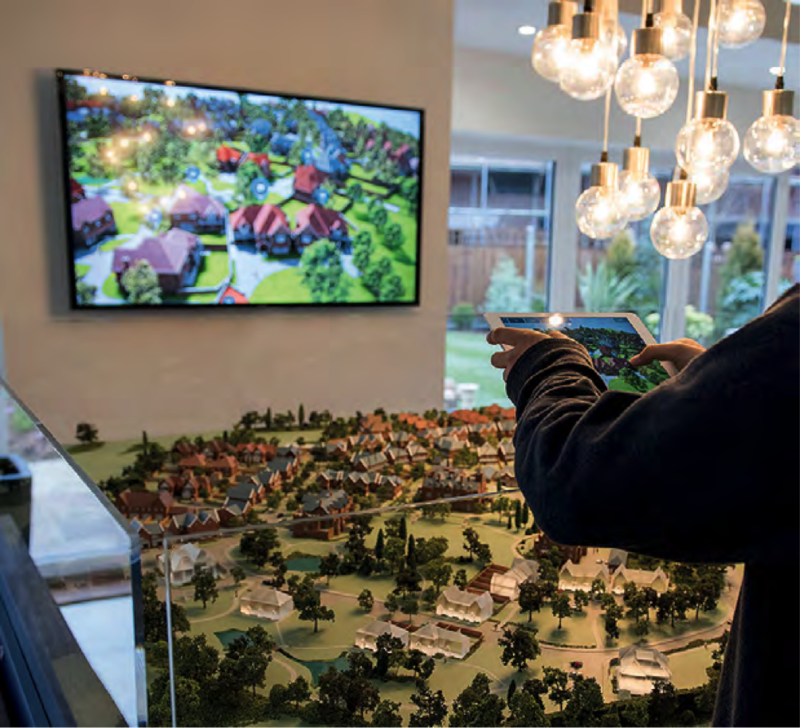 “We work closely with the suppliers to create a 3D real-time environment that allows the homebuyer to specify every element of their new home. 2D plans or CGIs,” says Richard Williams, founder and CEO of Veritii. The customers are then prompted to email their newly configured homes to themselves and forwarded to the sales team for further sales enquiries, also acting as a warm lead generator. 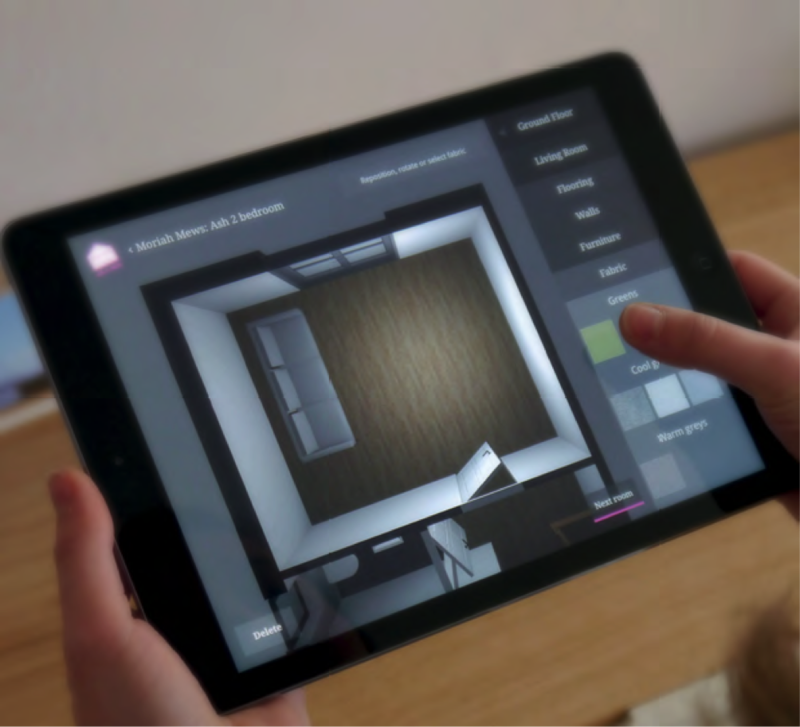 Williams says housebuilders are increasingly adopting the latest technology to engage with buyers, although the latest virtual and augmented reality products need to add genuine value to convince developers, especially those outside London, and overcomplicated 3D models and tools can frustrate the user. “While sales and marketing software can’t speed up the building process, it can be used to create an immersive environment that the housebuilders can use to keep the homebuyer informed, and happy that the process is running smoothly,” says Williams. 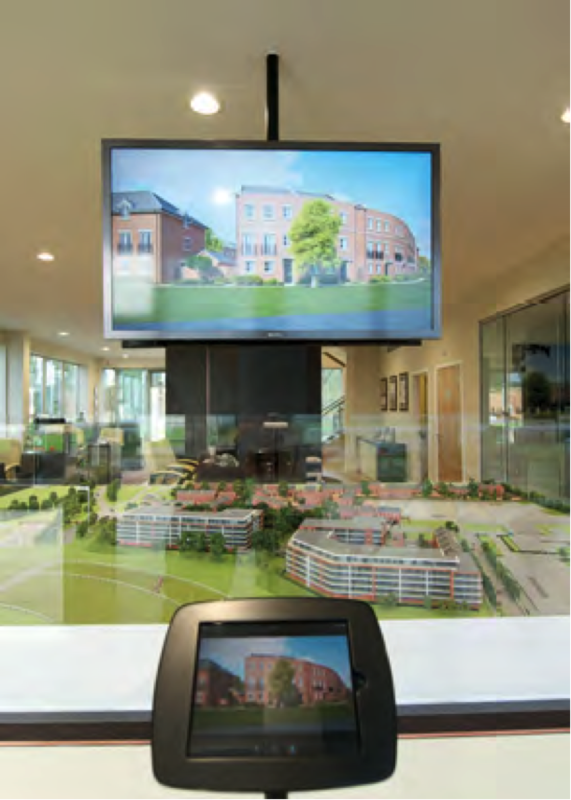 Modelworks Media offers augmented reality applications, 3D apartment finder apps, media tables and real-time 3D walkthroughs. “It’s important that as products they are visually attractive, but also drive the marketing and sales of property in a practical sense that the industry is familiar with. We also look to drive the longevity of our products in the market to ensure our clients get the most from allocated budgets,” says Peter Rogers, business director of Modelworks. A bespoke content management system then communicates updates of sales and reservations to all platforms globally. Rogers says London developers and international projects are well engaged with new technology. Rogers says client interaction at point of sale is “a deeply personal service” that can’t be replaced. Even the art of answering the phone is proving more sophisticated and a marketing as well as sales function. Moneypenny has property receptionists who specialise in the needs of the property sector, using clever technology built in-house to guarantee housebuilders never miss a telephone call, while delivering the high levels of service customers expect. Moneypenny’s bespoke technology recognises previous callers, providing receptionists with all the caller history they need to handle the call as though based in the client’s own office. “In a highly competitive arena, a stand-out new-build is not simply measured on the property itself, but the service that lies behind it. It is pointless housebuilders spending money on advertising and on-line marketing if they aren’t supporting the activity by getting their response right when the phone rings. Those who are delivering well at every touch point, will be gathering more leads, delivering a first-rate customer experience and ultimately boosting sales,” says Swash. ← 3 simple steps to a better relationship with your new homeowners.